Handmade Hideaways - Builder based in Chesham, Buckinghamshire. 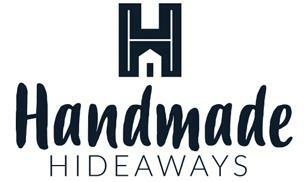 At Handmade Hideaways, we very much look forward to working closely with you to create something truly unique and wonderful for your home, work space or garden. Each design is bespoke and crafted with the client in mind. From small to large builds to interiors and furniture. Providing full service carpentry and joinery for projects in all locations. Whether it’s an office, a kitchen, a treehouse, a flat conversion or an entire house extension, our ethos remains the same. To create visually stunning, captivating living spaces through thoroughly thought-out design and competent builds, with the clients dreams at the centre of the process. Our combined building, carpentry and joinery skills and dedication to the use of ethically sourced and reclaimed wood, means we closely control each element of the project, guaranteeing an efficient and stress-free process for our clients. We welcome any project – commercial or residential; large or small. Our passion for craftsmanship and creative projects are why we do this, we’re here to help you transform your vision into a reality. Our founder, Evan, has been a carpenter and builder for over 16 years and has gained a wealth of experience on the way. Prior to setting up Handmade Hideaways he spent 10 years working for one of the country's leading treehouse companies. For 8 of those years, as site manager, he made sure all projects operated efficiently and without difficulties. Before treehouse building Evan learnt his trade on domestic and commercial building sites, renovating barns and landscaping gardens. The wide range of skills learnt and knowledge achieved had him well placed to strike out on his own... Handmade Hideaways was born! Since it's creation we have employed craftsmen with a wide range of skills and experiences to expand our knowledge further.